As I’ve begun my fourth Jack Taylor novel, I was captivated to find author Ken Bruen quoting from one of my all-time favorite novels. So, it doesn’t get any better than that. Luckily for me, Audible carries both unabridged audiobook versions available. Since narrator Gerry O’Brien has carried me through the first three, it’s hard to picture (or is it listen?) anyone else as Jack. The sample of Michael Deehy’s rendition is not bad, but compared to Gerry’s delivery it would have required a change that I wouldn’t have appreciated making. Don’t you love when one of your known, if not favorite, authors and/or their works are referenced in someone else’s novel. It’s like this little gem or gift because you know that not everyone will recognize it. It’s such a kick for me when I find such things. I haven’t read any of Ken Bruen’s novels as yet. Oh, yeah! But you know what the funny part was? 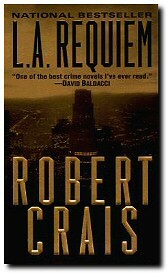 The narrator, Gerry O’Brien, pronounced RC’s name as “Robert Crass“. Thanks, Christine. Robert Crass? How crass of him! I haven’t read DRAMATIST yet; I’m bouncing around the Taylor novels. I look forward to your thoughts on it. Christine, you need to pick up some Bruens, stat! Yep, the Jack Taylor novels are somethin’, alright. 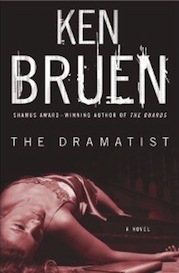 And I agree, too, the works of Ken Bruen come highly recommended. Thanks, Elyse. I’ve only been in the Jack Taylor series, but heard great things about TOWER. I’ll need to pick that one up. BTW, The Dramatist has a pretty devastating ending (as Naomi said it would).